The Austrian documentary filmmaker Stefan Wolf travelled through Europe in order to explore well established eco-communities and to present a broad spectrum of lifestyle possibilities to many people. 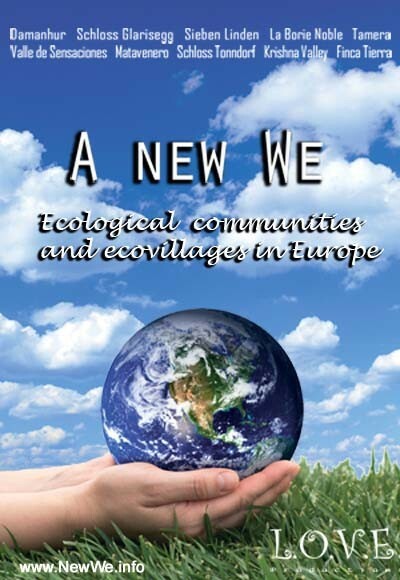 Experience ecovillages and ecological communities in Europe in this two hour long documentary portrait (published in 2010). 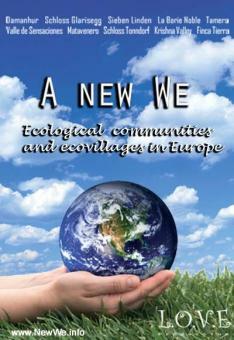 The variety of situations and voices in A New We inspires hope for the future of humanity and all life on the planet. The lifes shown here are more motivated by imagination, vision, respect and cooperation than by economic forces and social expectations. In these 10 communities, the creative solutions to many social, environmental and economic challenges exemplify the nearly infinite capacity for human-, community- and self-development. It’s a film that enlightens, encourages and spreads hope – for a new world and A New We. The film leads you through the fascinating world of communities. How are these communities organized? What decision-making processes do they use? What food choices do they make? How much of the food and energy that they need do they produce? How do adults and children interact?